Luxury real estate is all about location and details, and the Montage Residences Beverly Hills is a testament to both. The Montage Residences at the Montage Hotel in Beverly Hills offer gracious living in the heart of Beverly Hills. There are 20 condo units at the Mediterranean-style hotel. They sit on the top three floors. All offer dramatic views of the cityscape and hills. The Montage Beverly Hills opened in Beverly Hills in 2008. Sustainably built, it was the first Gold LEED certified hotel and residences in Southern California. Assistance with grocery and wine deliveries, private dining or at-home entertaining, pet care, and home maintenance. The Montage Residences sit atop the top 3 floors of the 5-star Montage Hotel in Beverly Hills. The luxurious floor plans offer custom finishes and designer touches throughout. The units are 2-5 bedrooms and all have unique footprints. The central location in the heart of Beverly Hills and the 90210 zip code make it a highly-coveted address. Units feature designer details, including soundproofing, and custom finishes throughout. Building amenities include the 24-hour services of the hotel, including in-room dining. Additional residential amenities include a roof-top pool, security, valet parking, fine dining, and spa. For more detailed information on the Montage Residences in Beverly Hills or unit availability, please call or e-mail David at any time. The Carlyle on Wilshire Boulevard offers stunning, luxurious high-rise residences. Click here for detailed building information of this striking Wilshire Corridor condominium tower. Interested in a Beverly Hills condo? Click here to see a summary of the fabulous luxury condos that Beverly Hills has to offer. Beverly Hills Condos - Unit features, building amenities, and photos. Thinking of buying or selling a home at The Century in Century City? Click here for detailed bulding information on The Century condominium Los Angeles high-rise tower, including building and condo features. Are you considering buying or selling a home at the Ritz-Carlton at LA Live? Visit my page dedicted to the Ritz-Carlton Residences at LA Live (Staples Center location in downtown Los Angeles). Click here to see pictures, condo features, and building amenities at the Ritz-Carlton LA Live. 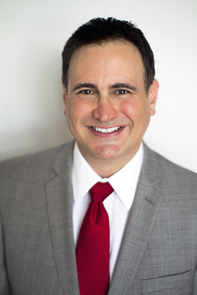 David represents both buyers and sellers of residential properties. Please contact him at 213/422-4516 or by e-mail for further information on how he can assist you.